We're addressing an important issue that affects many people- especially high-achieving scholars like our members. NSCS has partnered with Active Minds to help change the conversation about mental health so no one has to struggle alone. Active Minds is the premier mental health organization impacting college students and mental health. Our mission with this partnership is to spread awareness, break the stigma, and raise money for solutions Active Minds has identified. 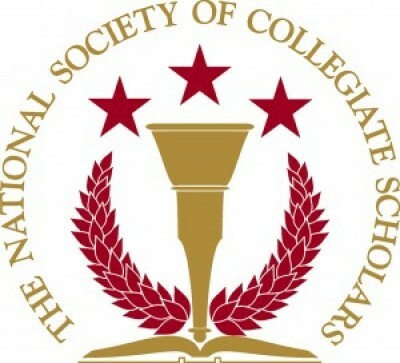 At the conclusion of the 2018-2019 school year, 80% of the funds raised will be donated to Active Minds and the remaining 20% will come back to NSCS to fund the Active Minds Mental Health Advocate Award. Help us make a significant impact on student mental health and well-being! Donate today! This team has no members. Your donation will still be credited directly to this team. Use your mouse of finger to draw something. Enter a word below and click 'Search'. Or start over. This device does not support Venmo. Visit the fundraiser on your phone to donate with Venmo. Text me the link. Please note: if you are making a pledge donation, a pending charge will appear on your statement and settle only if this fundraiser meets its goal. All ticket sales are final and processed as a separate transaction. Learn more. Please note that all donations are in USD, and international exchange fees may be applied by your bank or credit card. Thank you so much for your support! Please help us raise even more by sharing on Facebook or email, it would mean so much to us. Campaigns that are shared by donors raise 3x more! Thanks for signing up! Good news is on its way. Choose a team to join from the dropdown below. Create an account or login below to join this fundraiser. Subscribe to our Good Newsletter and receive free stickers. By creating an account, you agree to the Terms of Service. Success! We've emailed you a link to reset your password. You will now be redirected to your campaign page. If you aren't redirected click here. Drop us your email to receive good news and free stickers. Uh oh, looks like something went wrong. © 2019 Givebutter. All rights reserved.